AND YOUR FREE $25 GIFT! Social Media Marketing = Fusion Marketing! Exponential Returns Without Spending A Cent More! If you are still calling yourself a “Social Media Expert” then you’re announcing to the world that you have been left behind. If you’re an expert in Facebook and Twitter, then you’re trying to build a your marketing restricted to using only two tools. Social media is an amazing marketing tool set, take it from me, I wrote the book on it (the bestseller, The Social Media Bible)! If you’re still stuck looking at social media as a stand alone technology, then you’ve been left behind. The Fusion Marketing Bible is the next step that brings our 6,000 years of traditional marketing, the exciting digital marketing tools of the Internet, and social media and fully integrates them into one seamless tool set that will accomplish every goal you set! The Fusion Marketing Bible isn’t just about integration; it’s about a totally new concept of “Interconnecting” all of your traditional, digital, and social media tools. 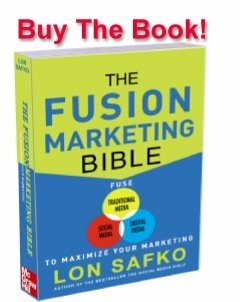 The Fusion Marketing Bible is about looking at all of your tools, campaigns, and conversion strategies first in two-dimensions, then taking your all of your marketing strategies into the world of three-dimensions. 3D allows you to look at everything you do in marketing in a completely different way! And, it’s Patent Pending! Purchase the book from Extreme Digital Marketing and you will receive your book “autographed” by the author, Lon Safko!Just click the “Extreme” logo below.Or, click any other awesome bookseller’s logo to purchase there!If you already own the book, skip this step! 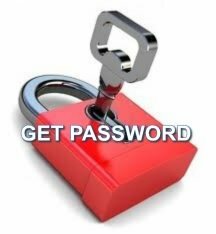 Now that you have purchased your book and have your receipt in hand, click “Get Password” to download your gift. IMPORTANT! You will need your receipt number from your invoice as proof of purchase. Fill in the blanks, hit submit, and a password will be emailed to you. Grab the password that was emailed to you and Select “Log-In” from above, or CLICK HERE! Turn your marketing plan into an amazing 3D Marketing Success! 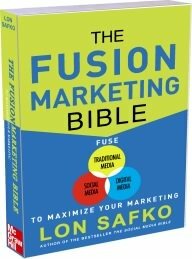 The Fusion Marketing Safko Wheel is a downloadable PDF and is available for free with the pre-purchase of your Fusion Marketing Bible until the book’s release. This printable PDF contains everything you need to build your very own Three Dimensional Safko Wheel and see your successful marketing plan come to life in 3D! 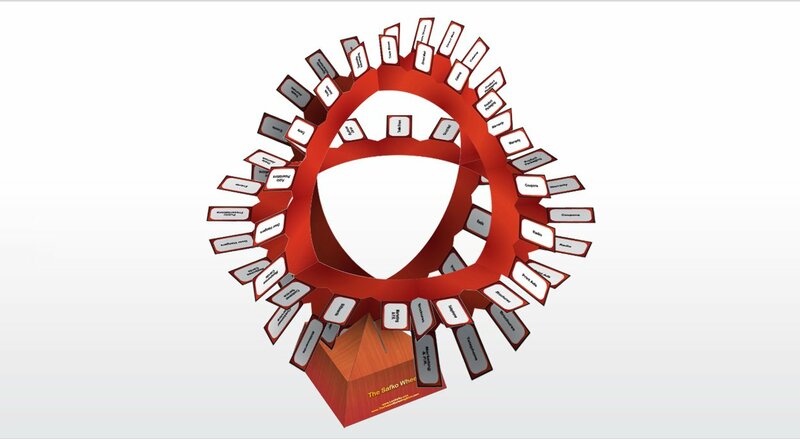 This kit comes with 4 different colored Safko Wheels, 26 color coded cards for each wheel, the Top 20 Traditional Media and the Top 20 social media titles already pre-printed, along with 6 blank cards for your own titles and it’s base. Just cut, layout, and develop your Fusion Marketing Plan! Makes a great team building exercise that finishes with an amazing marketing plan!